Forrest Gump is back! The lovable man for all ages captured America's heart in the No.1 bestselling novel Forrest Gump and in the blockbuster film, winner of six Academy Awards® including Best Picture and Best Actor. Now he returns in the long-awaited sequel to the book hailed by Larry King as 'the funniest novel I have ever read'. A little older, and wiser in his own unique way, he is still running through the kaleidoscopic events of our times - and straight into the age of greed and instant gratification known as the 1980s. Whenever I really get stumped, I go visit Jenny's grave. She tells me she's always rooting for me. The Bubba Gump Shrimp Co. has gone bust and Forrest is flat broke, sweeping floors in a New Orleans strip joint when Gump & Co. begins. As always in Forrest's easy-come-easy-go life, a change in the weather is never far off...and when the opportunity to play championship football comes his way once more, Forrest is back in the limelight and in the money. But fate is a fickle lady, and he's soon out on the road selling phony encyclopedias and trying to raise his son, little Forrest, who needs his father more than ever. Forrest's remarkable, touching, and utterly comic odyssey has just begun: in store for him is an explosive attempt at hog farming; his own dubious recipe for adding life to New Coke; an encounter with Ollie North; and a chance yet again to unwittingly twist the nose of history. One of the most phenomenally successful books of our time, Forrest Gump was praised as 'a wacky and funny nuthouse of a book' (George Plimpton) and 'superbly controlled satire' (Florence King, Washington Post Book World); Forrest himself 'should enter the annals of fiction as a great American hero' (Rima Firrone, Ocala Star-Banner). 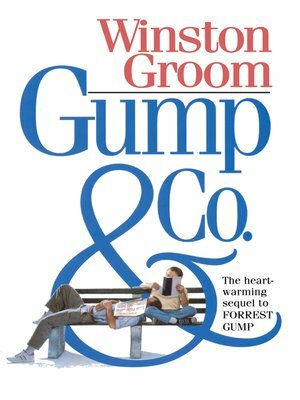 Winston Groom continues to delight us with Gump's hilarious and heartwarming adventures. 'At least,' Forrest would agree, 'I ain't led no humdrum life'.